The 2019 Trade Americas program offers U.S. companies the opportunity to explore five markets in the Southern Cone Region: Argentina, Bolivia, Chile, Paraguay, Uruguay. Hosted in Buenos Aires, Argentina, the U.S. Commercial Service’s Trade Americas – Business Opportunities in the Southern Cone Region Conference will focus on region specific sessions focus in on market entry strategies, legal, logistics, and trade financing resources. You will also be able to have pre-arranged one-on-one consultations with US & FCS Commercial Officers and/or Department of State Economic/Commercial Officers with expertise in commercial markets throughout the region. The Southern Cone Region represents huge opportunities for U.S. exporters. There is a huge demand for U.S. made products in the region. The United States is one of Bolivia's top trade partners. U.S. exports to Bolivia include machinery, vehicles, aircraft, optical and medical instruments, and agricultural products. U.S. imports from Bolivia include silver and jewelry, crude oil, tin, Brazil nuts, and other agricultural products. Chile continues to be a strong trading partner and export market for U.S. companies, largely due to its open market policies, zero tariffs, stable democratic government, solid business practices, and low corruption. the U.S. has an FTA with Chile and a bilateral trade surplus with the country. U.S.-Paraguay trade was $2.1 billion in 2016, with the United States enjoying a $1.8 billion surplus. U.S. goods exports of $2 billion included machinery, mineral fuels, toys and sports equipment, and optical and medical instruments. Imports from Paraguay, totaling $157 million, were primarily sugar, oil seeds, precious metal and stone, wood, and products of animal origin. The U.S.-Uruguay bilateral relationship has been strong. 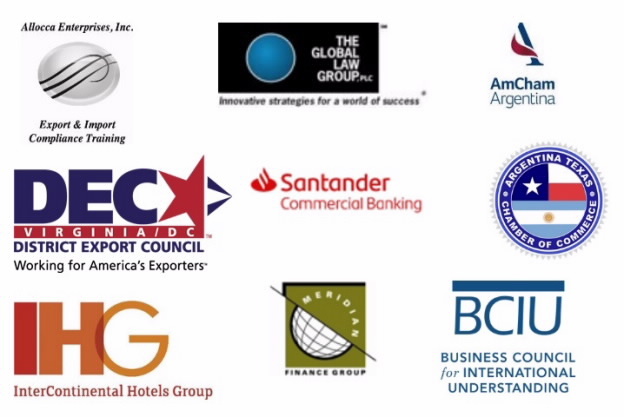 Uruguayan officials and business sector representatives are welcoming to Americans. The country is strategically located between Uruguay and Brazil, and at the mouth of the inland waterway that includes the Rio de la Plata and Rio Uruguay rivers. It offers excellent opportunities as a regional distribution platform and a great test market. The combination of the Trade Americas conference and business-to-business matchmaking appointments in ONE or TWO countries with pre-screened potential buyers, agents, distributors or joint-venture partners, will provide participants with strategies for expanding their business across the region. All business-to-business appointments in the region will be with a pre-screened potential buyer, agent, distributor or joint-venture partner. * Expenses for travel, transportation, lodging, most meals, and incidentals will be the responsibility of each mission participant. ** As a federal agency, the U.S. Department of Commerce must follow the Small Business Administration’s small business size standards per the Small Business Act of 2013.